Free templates doesn’t need to be boring and dull. And because ProBootstrap understand your need of a creative and extraordinary template we make sure that we give you useful and beneficial freebies. If you need fresh, elegant and innovative template for any type of business online, you should see Virb now! 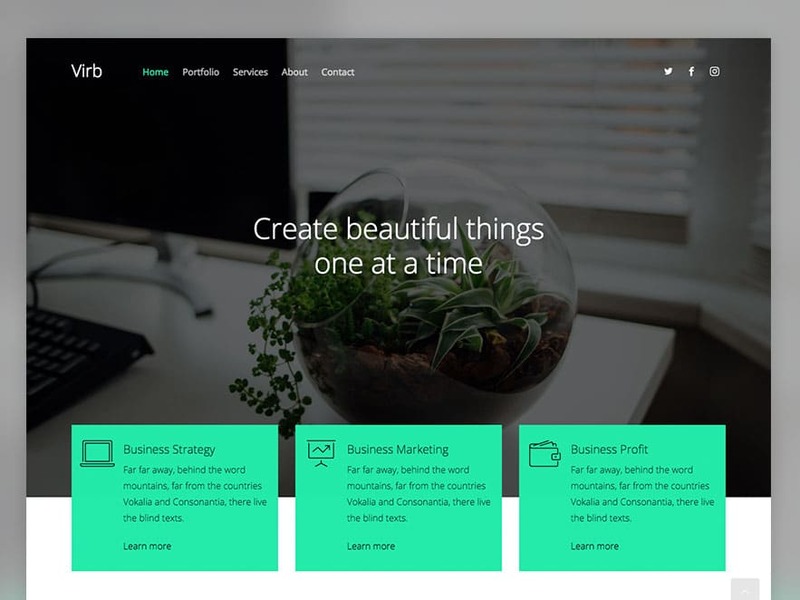 Virb free HTML5 multi purpose Website template ideal for any type of business you put up online. It has awesome features including pop-up video, google map, smooth animation, accordion and a lot more. Its minimal and modern design will give your website a fresh and outstanding look and feel. Download and Share!